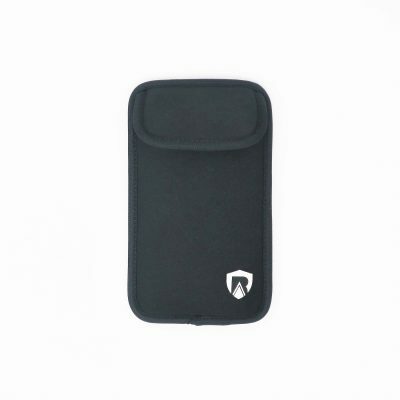 RadiArmor’s anti-radiation material blocks over 99% of EMF radiation. However, since covering your entire phone with this material would result in no reception, only one side is lined with this material. 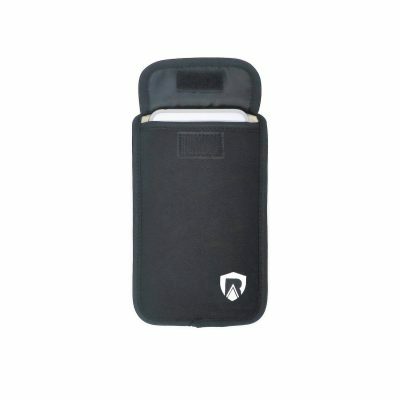 This still provides an effective EMF reduction of 91 to 96 percent with no reduction in reception. 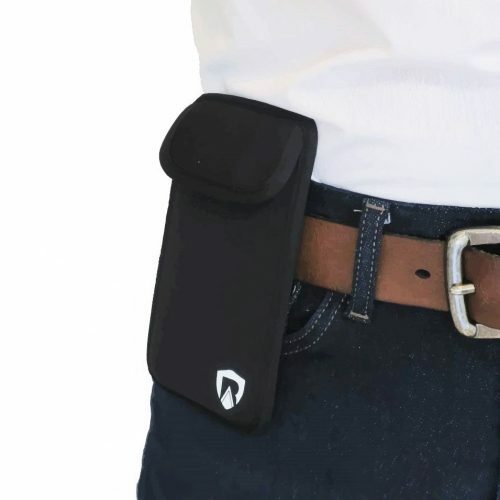 Measuring 7 inches tall and 4.15 inches wide and made of flexible neoprene, this sleeve fits virtually any cell phone including large phones such as Samsung S9+ and Pixel XL. Some companies claim their productes provide 99% EMF protection, but this typically refers to their EMF blocking material, not the real EMF protection you receive. Some companies even apply EMF blocking material to the wrong side, which increases the users EMF exposure. At RadiArmor, we lab test our products and post the actual EMF protection that you receive. How to use the RadiArmor’s anti-radiation sleeve? Only the backside is lined with our proprietary anti-radiation membrane. 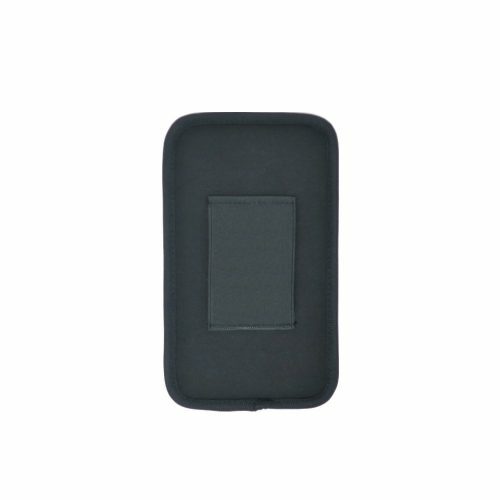 This provides optimal EMF protection and ensures normal cell phone reception. Always be sure to keep the protected side facing you at all times. 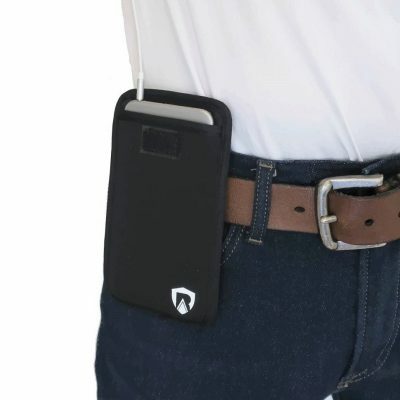 The flap can also be tucked in so you connect your headphones while you are using your sleeve.